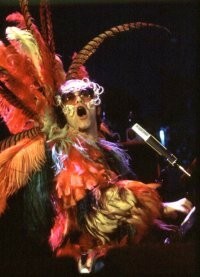 You want to see Elton? As you probably know, Elton John's show tonight at the Spokane Arena is sold out. Way sold out. BUT, we just got an email that there are still tickets floating around out there up for grabs. StubHub and The Comet, an LA-based music news site, are giving away two tickets to tonight's show. All you have to do to get your name in the hat for tickets is to follow @cometmusic on Twitter or "like" The Comet on Facebook (facebook.com/the-comet). Easy. You may be seeing the Rocket Man before the day is done, folks.